Fishing has been fairly good! We have lots of strong north winds which brings cooler air temps and makes the low tides even lower. However we are still catching fish. 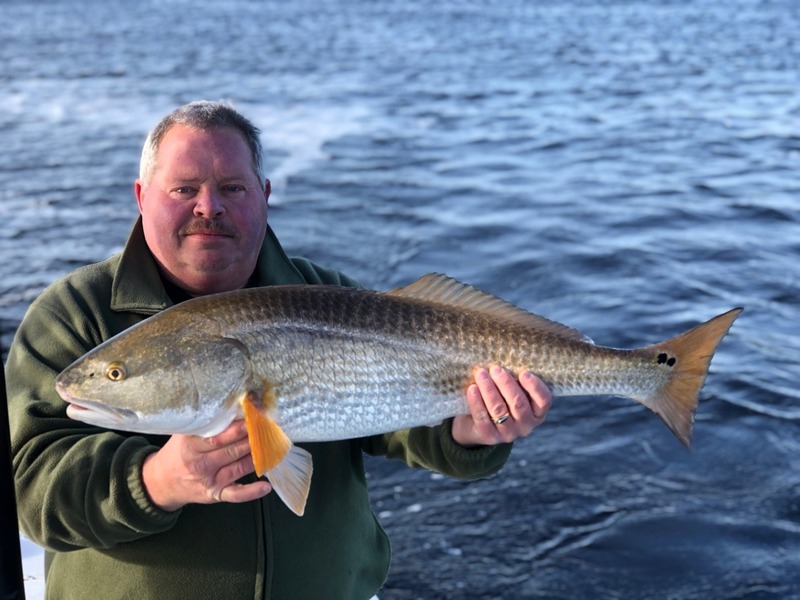 The redfish have still been pretty active when you catch the tide right. Also have been catching a few black drum mixed in. 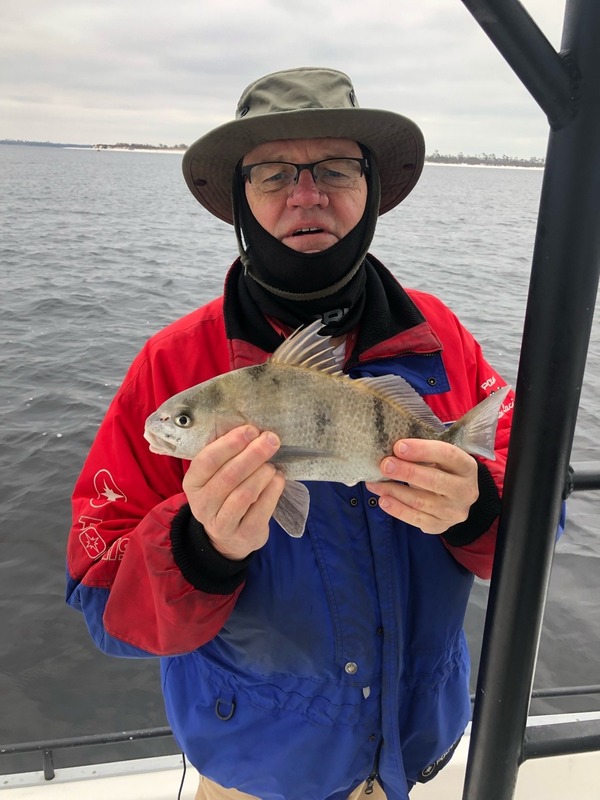 Even caught some bonus Sheepshead this week which is a pretty good sign for what is to come. Speckled trout are still schooled up and we are starting to catch a few nicer fish mixed in with the smaller ones. 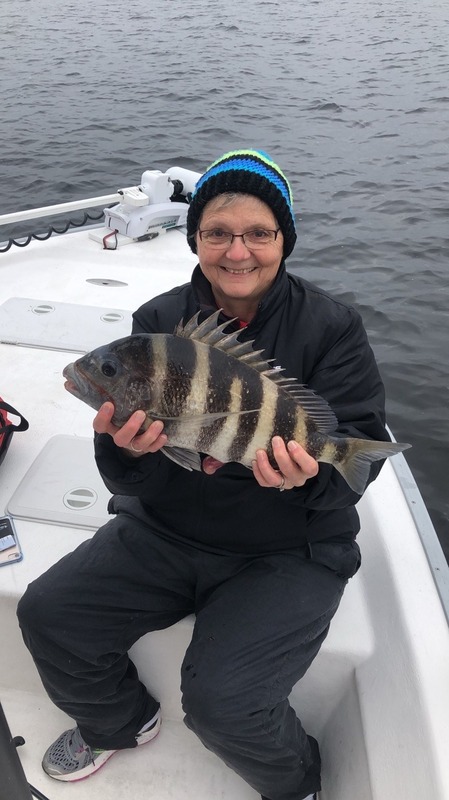 So don’t let the cold weather scare you from getting out there and going fishing! !